In addition to the almost one million skiers and snowboarders who take a trip abroad to get their own personal ‘fix’ in the mountains, there are those who take equal pleasure in the mountains in winter. Be it ice climbing, dog sledging, langlauf-ing, ski doing or snow shoeing we have winter sports policies which cover these activities. A Winter Sports Travel Insurance Policy is vital for any such trip as they are tailored to provide additional cover where it matters. 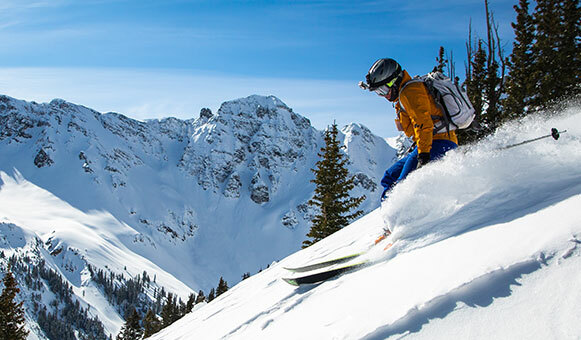 Comprehensive winter sports travel insurance covers the policyholder for insurable events that may occur before or during travel, such as trip cancellation/interruption, medical expenses for injury or illness, theft of valuables, baggage damage and more. The cost of travel insurance is based on the type of cover requested, the age of the insured, the destination of travel, the length of stay, type of activities covered and whether you have any pre-existing medical conditions. We have a wide range of available travel insurance policies available to suit all needs. Many travellers don’t understand the difference between their European Health Insurance Card (EHIC) and a Winter Sports Policy. Whilst your EHIC card will provide care in a state run hospital, most accidents on the mountain result in your being taken to a local clinic. Your costs there will not be covered and neither will the costs of getting you off the mountain. If your injuries are serious your EHIC card makes no provision to get you home and will not provide costs for someone to accompany you. (1) International Federation of Health Plans, 2012.